Fortnite (Free) patch 5.40 is finally live after a delay that occurred due to a critical controller issue. With Fortnite, Epic Games is dealing with updates on iOS, Android, PS4, Xbox One, Switch, Windows, and macOS and needs to make sure that everything is ready to go live at the same time. Cross play is a thing across all platforms (well not all thanks to Sony) so patches need to go live at the same time. Patch 5.40 adds a new LTM, a new weapon, Nintendo Switch fixes, more Android device support, VOIP on Android, and more. The Getaway is the new High Stakes Limited Time Mode and it has Jewels appearing in drop safes across the dge of the first storm circle. There will be four jewels in play at all times and when players escape, new Jewels will be dropped. If you pickup a Jewel, other players will be able to see it for 30 seconds. There are four getaway vans throughout the game that are waiting for you. The mode will also see tweaks to weapon and loot appearance. 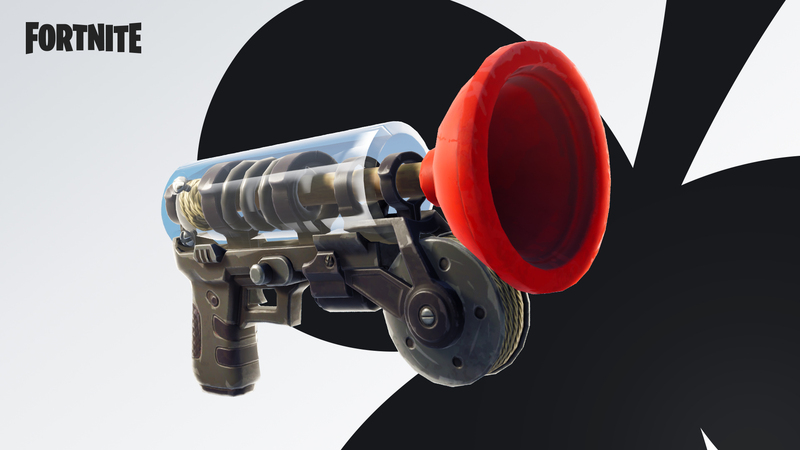 When it comes to other additions, the Grappler is a new weapon that is of the Epic rarity. It lets you fire at objects to pull yourself towards said objects. You can chain shots together to go quite far. Downtime is currently live as of this writing but the servers will be up soon. If you do play Fortnite, we have a dedicated channel in our Discord. Make sure to join our Discord channel here to squad up and get some Victory Royales.